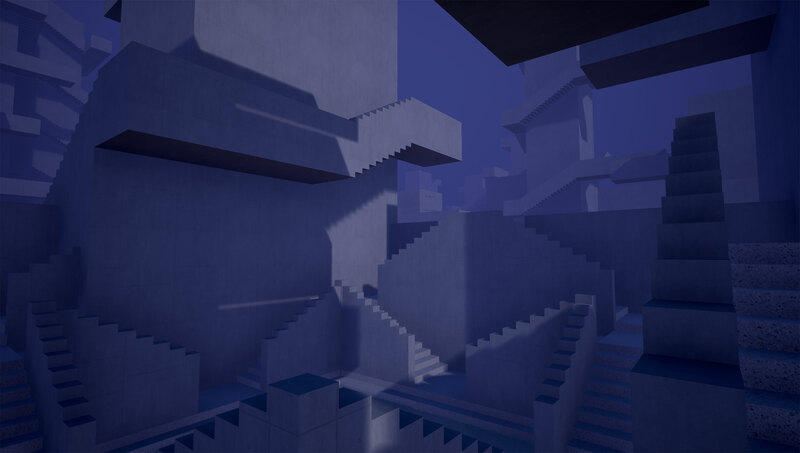 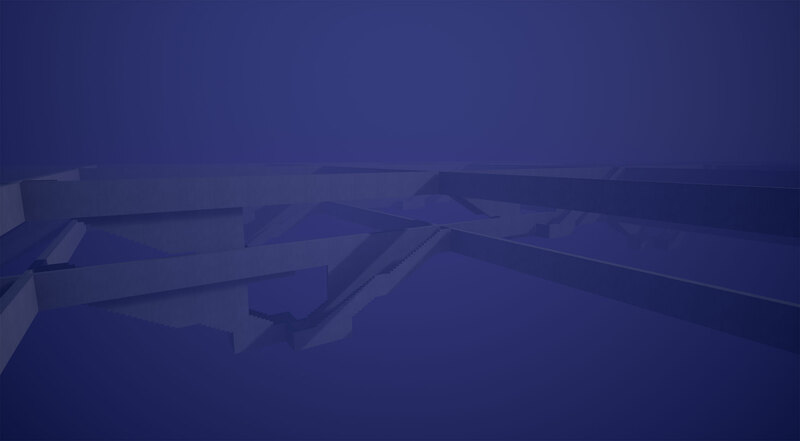 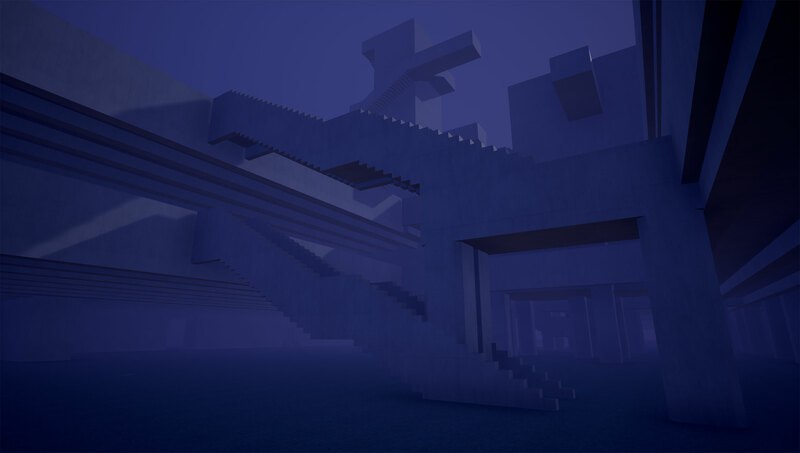 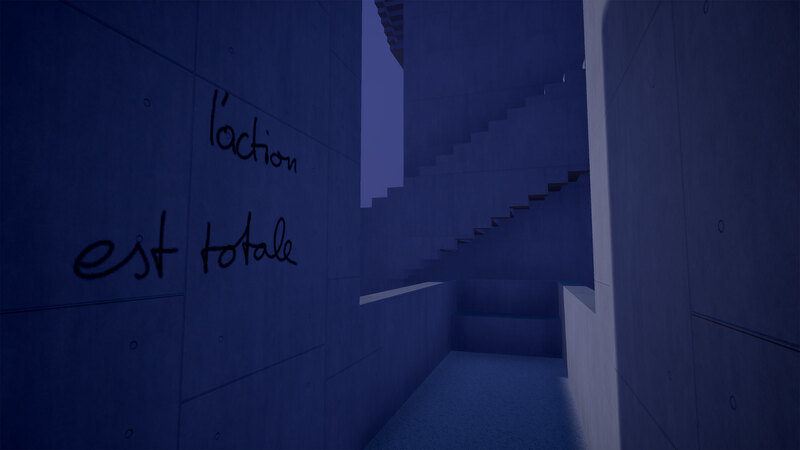 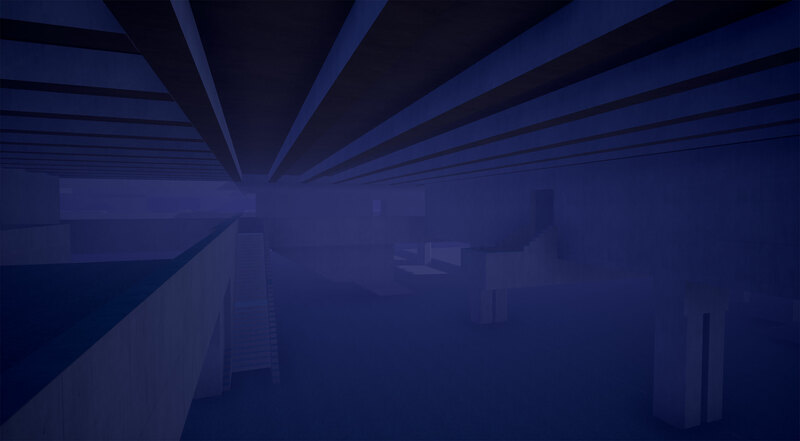 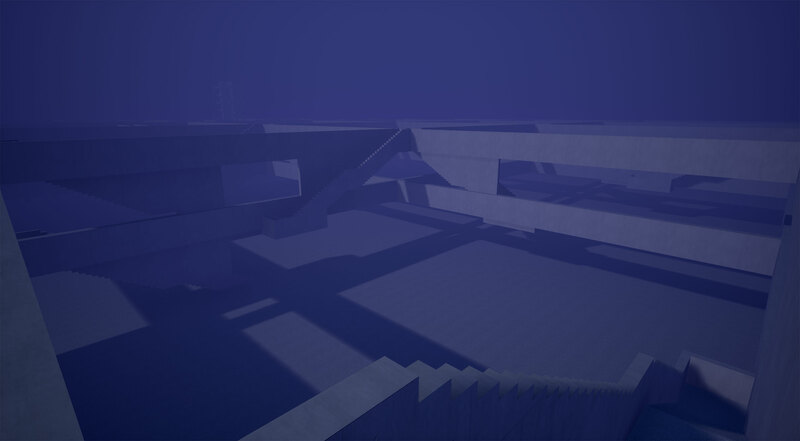 Procedural videogame, Les éléments tombent du ciel (Elements falling from the sky) is a wandering within an architecture representing the abstraction of the slab, figure of the modern urbanism. 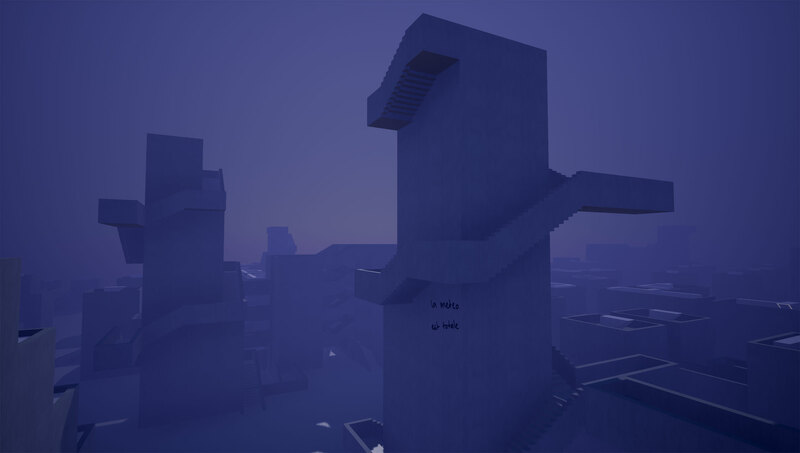 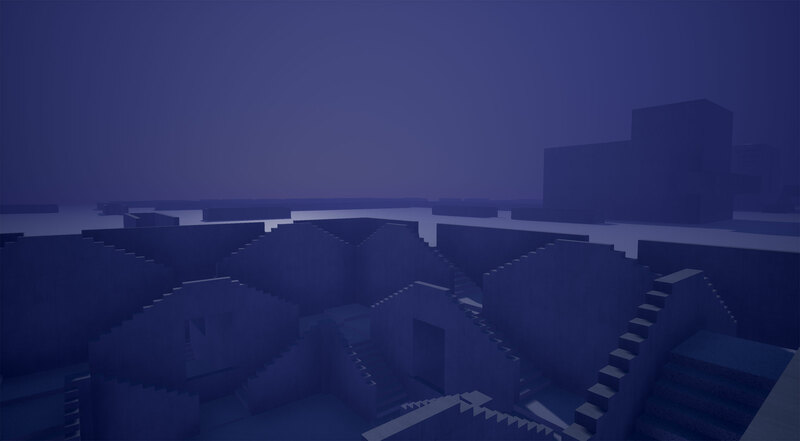 On an invisible grid, the chaotic arrangement of stairs whose sole purpose is only their potential for movement, produces a labyrinth which disappears slowly if the player decide to deny it. 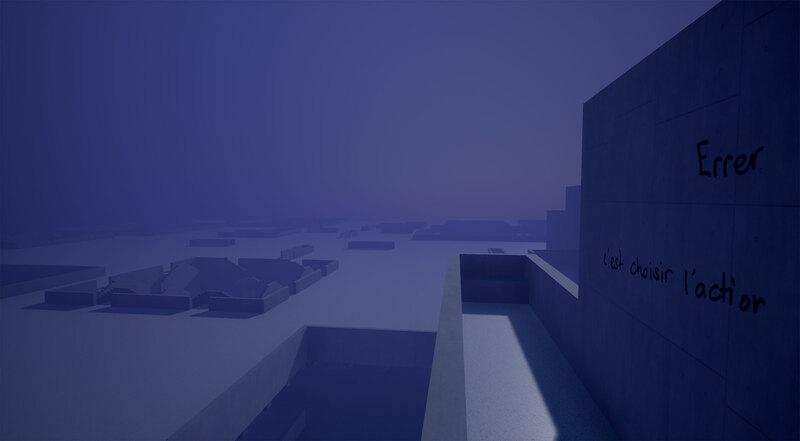 The elements falling from the sky was produced as part of the Virtual Dream Center and with the textual participation of Data Rhei.